Shruthi is a 20 year old girl. She just completed her B.Com and had just joined an accounts firm. She was hospitalized in March 2015 for lack of sufficient RBC counts. Later it was diagnosed with a peculiar disease. Last Sunday (11th Sept), she had a fall and now has a serious head injury. 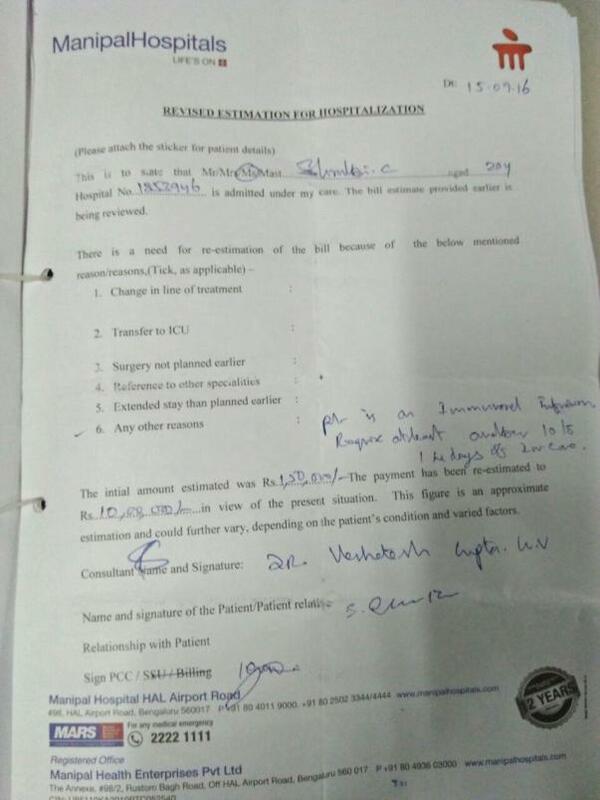 She lost large quantities of blood because of her prevailing condition. She under went surgery last week. 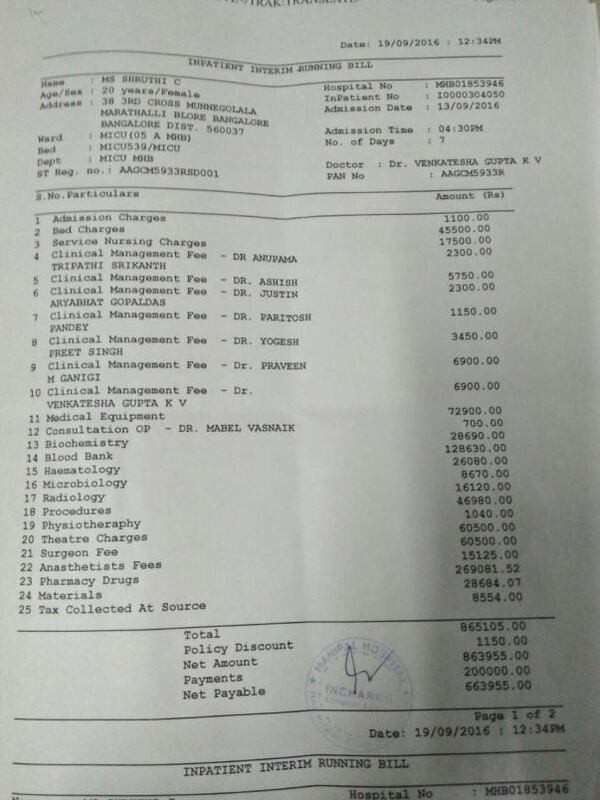 The hospital bills have already crossed 10 lakhs. We have arranged 5 lakhs from friends and relatives. But the family is in no shape to arrange for the rest. 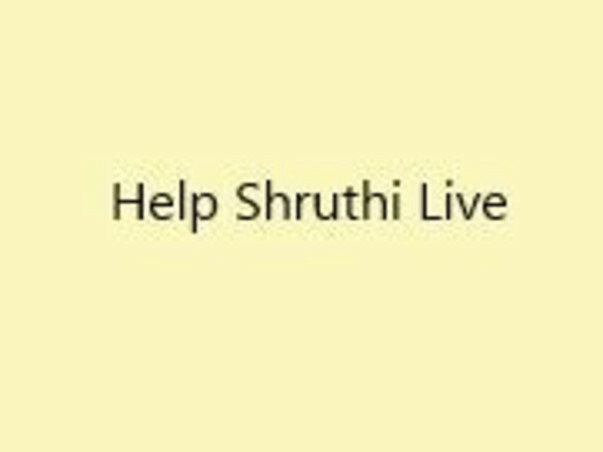 We request you to please come forward to save Shruthi. Should you have any questions, please contact 9739903911 or 9972388334 for more information. You can also check with Manipal Hospital before making a contribution. 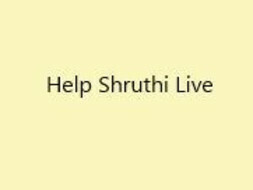 But please support Shruthi and help her live. 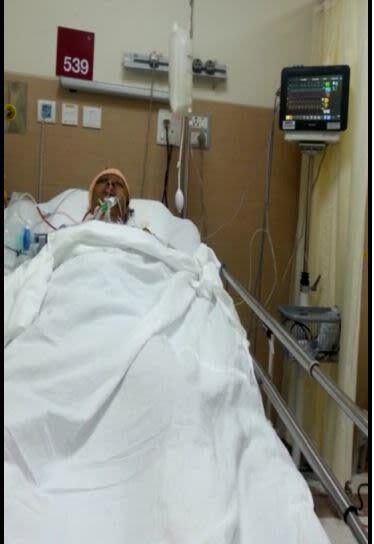 MICU patient since 13th Sept 2016.